Most of the help you need is already available, you just need to know where to look, and not be afraid to ask. There is no such thing as a stupid question – you just don’t know how to do it yet, that is all! When we don’t understand something or if something goes wrong, we will in the first instance “Google it!” – entering in the basic question will generally result in many pages that can help you. Most often the top results will take you to the WordPress.org site itself, either into the forum or to their documentation. 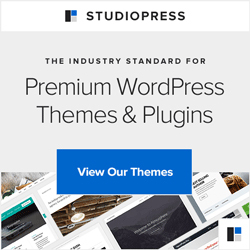 It really is worth spending some time becoming familiar with the WordPress site – it is a wealth of just about everything you might want to know. Here at Blogmistress Towers we do our bit, with blog posts and videos, webinars, the reminder service and generally being helpful wherever and whenever we can, and keeping it as simple as we can, and in plain English. Webinars – watch this space for the next webinars this autumn – requests welcome – pop an email to hello@blogmistress.com with what you’d love to know more about.